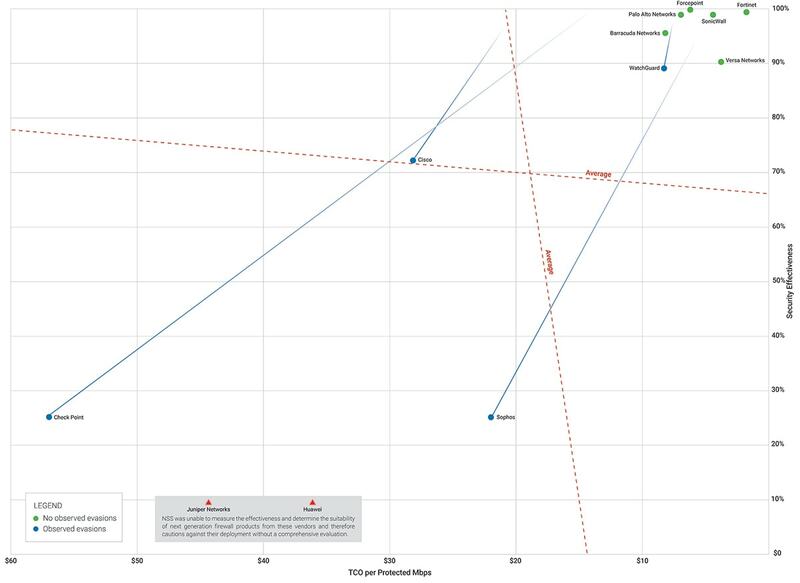 We are excited to announce that Palo Alto Networks has achieved a “Recommended” rating, and a spot in the upper-right corner of the NSS Labs NGFW Security Value Map, or SVM, indicating high security effectiveness and low total cost of ownership, or TCO. This is in addition to other recent NSS Labs “Recommended” ratings in the Data Center Security Gateway test, Breach Prevention Gateway test, NGIPS test, and Advanced Endpoint Protection test. Our performance in the NSS Labs NGFW Group test is further proof of our prevention-first philosophy. Our next-generation firewalls can prevent successful cyberattacks with an architecture you can easily deploy and operate. Using automation, we reduce manual effort so that IT and security teams can focus on high-value activities. And we continue to deliver new innovations that are natively integrated, making them easy to adopt. In this test, NSS Labs evaluated firewall products with 190 different evasion techniques, more than 2,000 exploit tests and throughput tests. The PA-5220 running PAN-OS 8.1.1 was evaluated with the Threat Prevention subscription enabled. Our NGFWs are the cornerstone of the Palo Alto Networks Security Operating Platform. Through the power of the platform, your organization can continually improve security effectiveness and efficiency – across the network, cloud and endpoints, including servers and mobile devices. The post Palo Alto Networks “Recommended” in NSS Labs 2018 NGFW Group Test appeared first on Palo Alto Networks Blog. Thank You for An Amazing Ignite Europe!